This gorgeous leather sofa was handmade, using a variety of tools you can easily get your hands on. 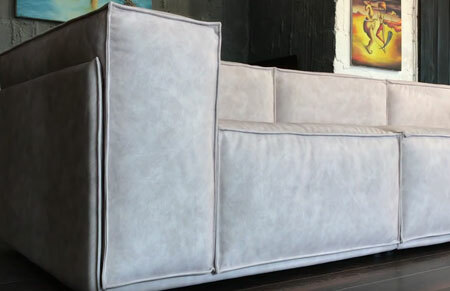 Once you have seen how easy it is to make this contemporary sofa, you will definitely want to make your own. The frame for the sofa is made of 16mm plywood (shutterply) that costs around R350 per large sheet, and you will most probably only need two sheets to complete the frame. Once the frame is assembled, elasticated straps are added for comfort and seating support, and you can buy these at larger fabric stores. The frame is fitted with medium-density foam, which would probably cost around R2000 and then wrapped with batting before being upholstered with soft leather. 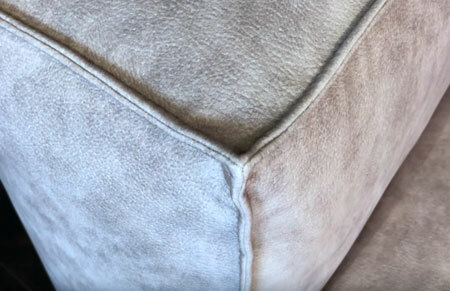 All-in, you could probably make the entire sofa (excluding upholstery fabric or leather) for around R4000, and then select your choice of fabric to finish off the upholstery. I have included the video below that shows how the sofa was made, and you can download a free version of SketchUp to draw up your own plans to make the sofa. This gorgeous made sofa offers a modular design that allows you to add more components, or place the sofa in an array of comfortable configurations to suit your personal lifestyle. 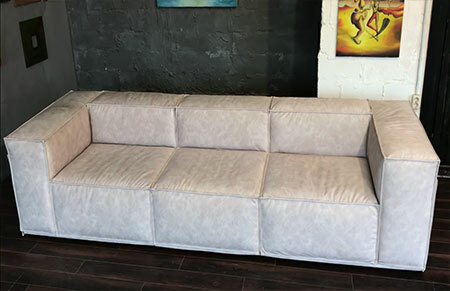 While this sofa is upholstered in a soft leather, you can easily substitute with pleather or faux suede in your choice of colour, to perfectly complement your design style. Interested in making your own sofa? Check out the video below and then grab all your tools and supplies at Builders Warehouse to get started.